PestEx 2017 was such a well-attended gathering of the sector that we can say with confidence - there have never been so many people committed to public health pest control under one roof in the UK. Back in 2015, PestEx saw 2,209 people walk through the door across the two-day tradeshow. The final count by end of Thursday was 2,641 attendees. Day 1 visitors were up an impressive 10% and more people attended both days than ever before - probably due to the packed seminar schedule and the 106 exhibitors to get around. In fact, PestEx sprawled out across 2,860m2 of exhibition hall space in the ExCel, a 7% increase over the 2015 show. "75 years ago, the formation of BPCA marked what was possibly the first significant meeting of pest management professionals in the UK. 20 people sat round a table to talk about the future of public health pest control. Last week, over 2,500 people came together at PestEx to do exactly the same thing, marking our continuing commitment to excellence and professionalism." "We've had a steady flow of people coming to see us, but what's important is that they all seem genuinely interested in what we have to offer. So we've had some really meaningful conversations and some great leads over the last few days." "Getting numbers like this despite London being on high alert because of the terror attack in Westminster really goes to show the resilience of our sector. After a busy first day, we were worried that numbers would fall short on the second day. Instead, the pest management community came out in full force and I've had plenty of feedback saying meaningful connections were made on both days." "Dozens of visitors, exhibitors and speakers approached me during the show to congratulate BPCA on their efforts. The quality of the exhibitors and speaker has really drawn a crowd, including the opportunity to network with professionals from around the world. I'd like to thank the BPCA staff team and Dewberry Redpoint for delivering a world class, international tradeshow". You'll be able to see the full breakdown of the numbers in the next issue of PPC magazine. Pre-registration is already open for our sister show, PPC Live. 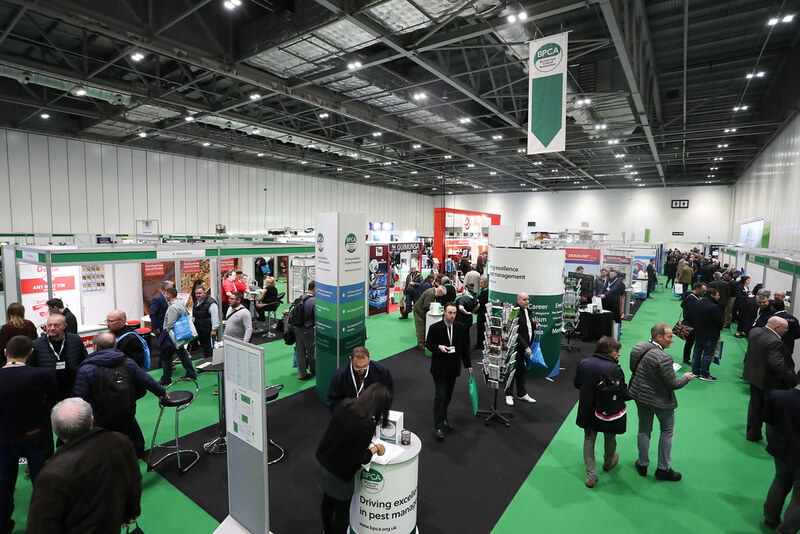 PPC Live is BPCA's trade exhibition and conference designed for technicians, surveyors and company owners to help improve technical knowledge, earn vital CPD points, and keep up-to-date with the latest industry changes and products. This event will be held on Wednesday 14 March 2018 at the Three Counties Showground in Malvern, Worcestershire. Pre-register for PPC Live here or contact events@bpca.org.uk about booking your exhibitor space early. Thinking about PestEx 2019 already? We're already focused on how to make the next PestEx bigger and better. Contact events@bpca.org.uk to see how you can get involved early.